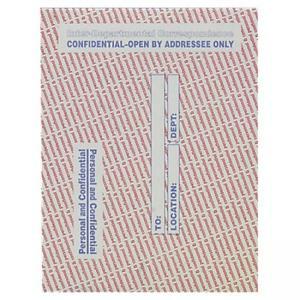 Interdepartmental envelope is designed for sensitive documents. 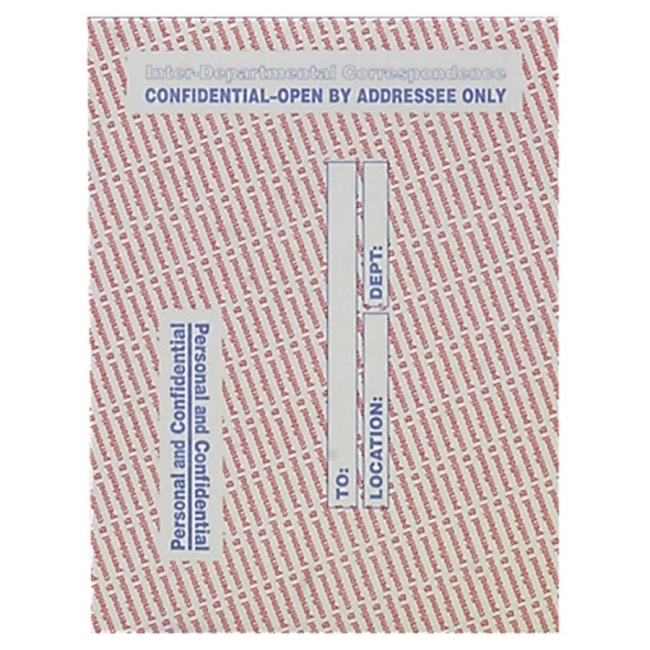 Printed red pattern that reads, "personal and confidential," and the larger "Personal and Confidential" messages in blue alert everyone that the envelope is to be opened by the addressee only. Sender signs across the flap once the envelope is sealed. Ideal for expense reports and other sensitive materials. Made of sturdy Gray kraft stock. 28 lb.